Well, it’s been pretty rainy this summer; but every now and then, there’s a rainbow. Saw this on my way to work this morning. Love the sun and dark sky. June 16, 2013 – Interesting sky over the Helen Day Art Center and Stowe Free Library. 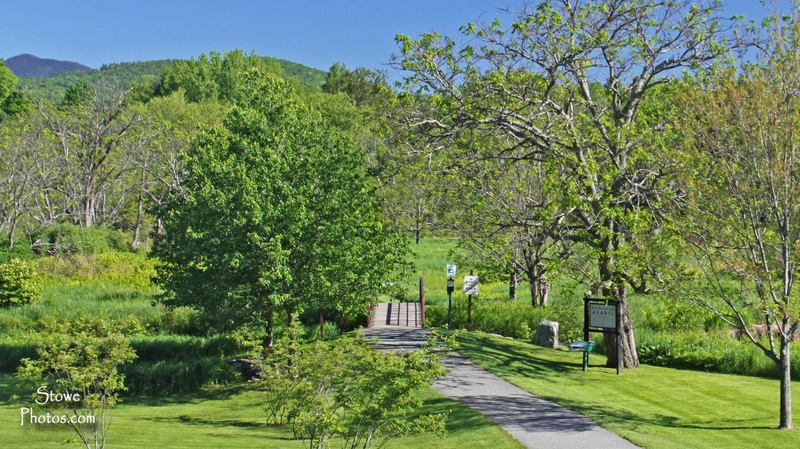 This photo was taken in May 2013 at the Stowe Rec Path from behind the Stowe Community Church. I love the colors in May!